It cannot get more authentic than this, coffee lovers. Chennai Coffee Shop has set up several kiosks across the city and they're brewing filter coffee like a boss. 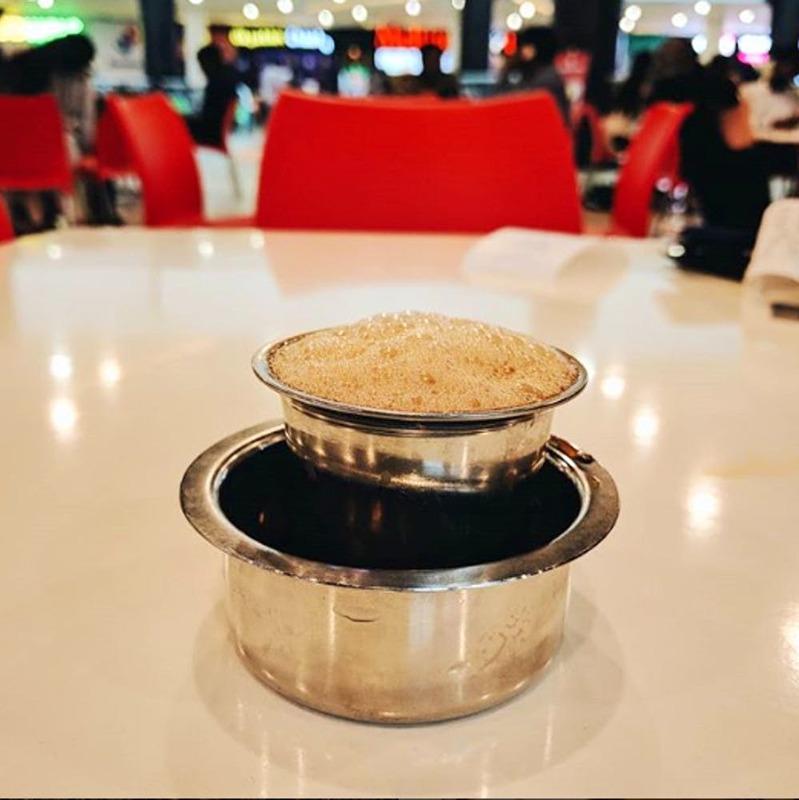 We spotted Chennai Coffee Shop in the food court of Next Galleria Mall in Punjagutta and were excited to try their filter coffee. Served Madras style in a steel tumbler and dabara, the coffee is frothy and tastes sweet without sugar as well. The kiosk has snacks like samosa to complement the coffee. The onion samosa goes well with the coffee, and so does the mutton samosa if they are available. Chennai Coffee Shop has several branches across the city, and the prices might vary. For instance, in Next Galleria Mall, a cup of coffee was priced at INR 40 but at other kiosks, it was INR 20 only. Nevertheless, the quality and the taste don't differ in any branch. Not all items of the menu are always available.